Keepers now have a legal requirement to meet enhanced biosecurity measures. A national avian influenza prevention zone has been put in place for every keeper of poultry or captive birds in England after another outbreak of the virus was confirmed in the west midlands. Defra chief vet Nigel Gibbens announced the zone this morning (January 18) with news the disease had been found in 13 dead wild birds in Warwickshire and a further 14 infected birds at the positive site in Dorset. 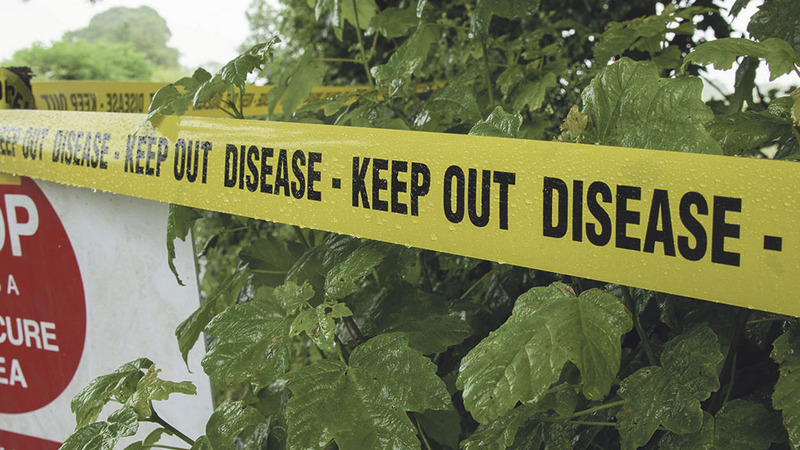 It is now a legal requirement for poultry keepers to meet strict biosecurity measures. Mr Gibbens said although testing at the Warwickshire site was ongoing, it was likely the birds affected were hit by the same H5N6 strain as the outbreak on Friday. He said as the disease was not isolated to a single site, the decision had been taken to extend the prevention zone across the country on a ‘precautionary basis’. “Following the latest finding of bird flu in wild birds in Warwickshire, we are extending our action to help prevent the virus spreading to poultry and other domestic birds,” Mr Gibbens said. The British Free Range Egg Producers Association echoed the call and said it was vital all keepers – including backyard flocks – followed the proposed heightened security measures to ensure all flocks remain protected. Rural Economy Secretary Fergus Ewing said after talks with the chief vet, the Scottish government would not be implementing a prevention zone at this stage. He said the approach was backed by expert advice that ‘imposing controls on Scottish keepers would not substantially reduce the risk to domestic birds at this time’. “However, we will continue to monitor the situation across the rest of the UK and Europe closely and should circumstance change, then we will of course revisit all available options,” Mr Ewing said. NFU chief poultry adviser Gary Ford added: “The health and welfare of their birds is a farmer’s top priority and practicing good biosecurity is the best way of guarding them from this disease. The prevention zone will be kept under review and is so far for England keepers only. There has been no findings of bird flu in Scotland, Wales or Northern Ireland. As a poultry keeper in England, what should I be doing?